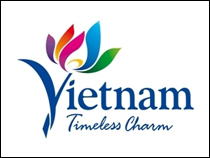 Investing in many real estate projects in Ho Chi Minh City, Dong Nai, Ba Ria - Vung Tau and Khanh Hoa provinces, Hung Thinh always truly understands the market and customer thinking, and advantageously possesses a closely linked process in investment and business, making its property products highly competitive in quality, cost and liquidity relative to its peers on the market. 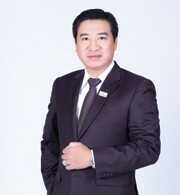 To learn more about above some issues related to urban planning, Vietnam Business Forum Magazine has an interview with Mr Nguyen Dinh Trung, Chairman and CEO of Hung Thinh Real Estate Business Investment Corporation (Hung Thinh Corp). Van Luong reports. 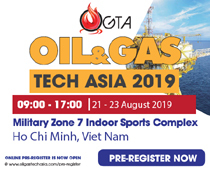 Looking back on its construction and development process, what factors have contributed to the current success of Hung Thinh Corp? During its 16 years of construction and development, Hung Thinh Corp has quickly grown to affirm its leadership in the southern real estate market and its big name in the country. The pride, and also our secret to success, is our highly qualified, experienced, ethical and dedicated staff who are actively integrating into the market. With the above efforts, Hung Thinh has built a harmonious working environment, closely united leaders and employees under the common roof of Hung Thinh Corp. The staff is always cared and rewarded with good salary, bonus and other welfare policies. At Hung Thinh Corp, we respect individual opinions and innovations. Employees are free to discuss, give opinions and seek ideas together to make greater contributions to the corporation’s business operations and unite for the development of the firm. To grow up and go regional, Hung Thinh Corp has always pursued the talent attraction policy aimed to employ ethical talents. These factors are decisive for Hung Thinh Corp to take on many large projects on the one hand and ensure the timely completion and product quality to satisfy customers on the other. What do you think about the current real estate market? In my opinion, our real estate market needs long-term strategic planning. 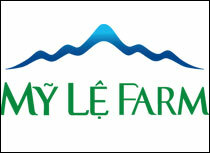 At present, many small enterprises go to suburban districts or surrounding localities of the cities like Binh Duong, Long An, Dong Nai and Ba Ria - Vung Tau to buy farm land for just VND1-2 billion per hectare, then convert it into residential land, open illegal roads and build power grids to form residences. They sell the land for much higher price at about 7 - 10 times of principal, resulting in planning failures, insufficient utilities and unsynchronised infrastructure there. On urban planning, I think that many cities are now being overloaded. Da Lat and Hoi An cities for example, congestions usually occur as a result of poor traffic infrastructure and insufficient accommodations which cannot be upgraded or restored because this work cannot harm intangible and tangible cultural values. So, how should we solve the overload quiz for ‘core zones’? And that means we cannot develop satellite towns where residents are assured of housing, employment, modern and sufficient public services, education, hospital, supermarket, entertainment and accommodation. In addition, traffic connectivity from satellite towns to ‘core zones’ should be made smooth to enhance linkage, exchange and cooperation. When satellite cities are full of utilities and as attractive or more attractive than ‘core zones’, they will help solve overloading quizzes of ‘core zones’, from population to transport and social infrastructure, and help localities to preserve the cultural beauty in a sustainably and in the long term. In my opinion, what the real estate market in Ho Chi Minh City as well as fast-growing provinces and cities like Dong Nai and Binh Duong and localities with unique cultural features is well-prepared planning and long-term strategic vision instead of breaking plans as it is today. Developing tall buildings should be accompanied by developing infrastructure, green buildings and satellite towns as I said above to ensure the sustainability and uniformity. Hung Thinh Corp is carrying out a large real estate project in Dong Nai province. How do you assess the potential of this project? We see that the real estate market in Bien Hoa City, the capital of Dong Nai province, has huge potential for development. 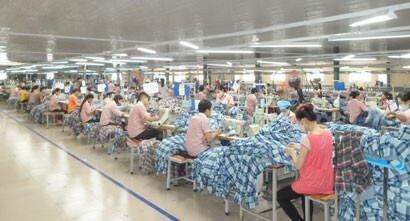 Situated in the southern key economic zone, Bien Hoa City is one of industrial cities of Dong Nai province where there are many large industrial parks home to foreign-invested projects. Besides, workers, experts and high-level human resources are seeking for housing in the densely populated city. 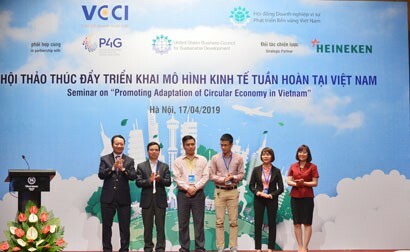 In addition, according to the Ho Chi Minh City zone planning to 2030, Bien Hoa City will become a dynamic developing city in the modern economic zone, a major economic centre of the nation and in Southeast Asia. At present, the time to travel from Bien Hoa City to Ho Chi Minh City and surrounding areas is much shorter thanks to Vung Tau three-tiered intersection and traffic arteries such as Ha Noi Freeway, National Highway 51 and Ho Chi Minh City - Long Thanh - Dau Giay Expressway. Particularly, the 60-metre wide riverside boulevard, which is being built, will also make traffic connectivity easier and faster. Bounded by the east of Ho Chi Minh City, Bien Hoa has virtually become a ‘backyard’ market that shares space and real estate needs with Ho Chi Minh City. 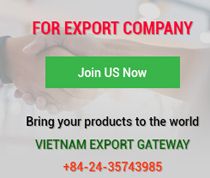 The market here is getting more and more attractive to investors, especially after Long Thanh International Airport was approved for construction in late 2019. The robust development of social infrastructure and transportation system is one of main driving forces for us to confidently develop a project. I believe that, with many items being invested, this will be one of typical urban areas giving a facelift to Dong Nai province. In real estate business, development investment and distribution, investors and customers cannot avoid complaints and blame. What about Hung Thinh Corp? Hung Thinh Corp is one of high-rise building investors and developers. Thus, customer care is very important. Buying an apartment is completely different from buying a phone or a suit because the house value is very high and customers use the former in the long run. Many investors sell flats to customers but other utility services are provided by other vendors such as electricity, water and telecommunications. Therefore, customers sometimes complain about power outages or water shortages or many other unavoidable things. For us, we always listen to what customers want to serve their needs and make them satisfied. At the same time, we always let customers know that we are deserved sympathy and support in these cases. The Industrial Revolution 4.0 will have great impact on business performances. How will this Industrial Revolution affect the real estate sector? The Industrial Revolution 4.0 embraces a wide range of industries and businesses, and real estate is no exception. With the current technological development level and more complete Vietnamese law, online housing and land trading is imperative. Then, customers seeking to buy an apartment can acquire lawful land-use rights of a house with some simple clicks or touches on electronic devices. Besides, in the past, when offering a project, investors usually give detailed product information (location, price and utilities). In the Fourth Industrial Revolution, they will be given additional solutions like virtual software used with special gadgets like 3D and 4D glasses to sense everything and live in the home they want to buy. 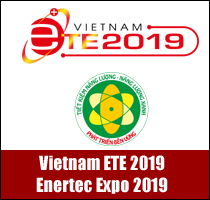 Currently, Hung Thinh Corp has been working with many partners to develop related fields to meet diverse customer demands. But, as we are just doing research and tests, we cannot decide the launch time at the moment.